Your registration fee is $20 for this one-day conference and includes: program materials and box lunch. After that time, call 434.960.2852 sign up for walk-in registration. We reserve the right to cancel any or all sessions or substitute speakers if necessary. Programs may be canceled for insufficient registration. 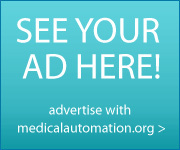 If a program is canceled, the liability of the Medical Automation .org is limited to the registration fee. Medical Automation .org will not be responsible for losses incurred by the registrants, including but not limited to, airline and hotel cancellation charges. You are encouraged to send a substitute if you are unable to attend. No refunds will be issued. All facilities used for the conference are accessible to persons with disabilities. Please complete the registration form indicating your need for special assistance. In order to assure accommodation, please submit all requests via e-mail to conferencemanager@medicalautomation.org by November 12, 2012. Provide a description of the type of assistance needed.